Businesses rely on marketing to help spread the word about their services. Many forms of marketing exist, though not all of those techniques work as good as the next. For this reason many companies have begun using text message marketing. No matter the type of business you operate or your current social status, text message marketing is affordable, fun and an easy way to promote your company to those who are really interested in what you have to offer them. One of the best things about text message marketing is that the Return on Investment (ROI) is very high, something that cannot be said for all types of marketing schemes. What does this mean? Basically it means that every dollar you put into the company will more than come back to you in the way of profit. Imagine spending $100 and bringing $1000 through the door. This is very much possible with text message marketing. Keeping an eye on your ROI is a good idea for all businesses using SMs marketing. When you understand the ROI you can determine if you should keep forth with your efforts or minimize them. You will know exactly how much is coming through the door and how much is being spent. There isn’t a better way to keep track of business expense and profit with this marketing campaign. 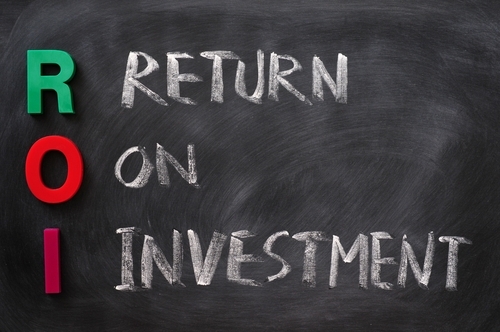 Measuring the ROI is not a difficult task… And, there are a few ways that you can do it. Measuring the ROI on your text message marketing campaign is something that should be done on a regular basis. To measure your ROI first gather receipts and documents that determine the total amount of money that has been spent on the campaign. You also need receipts and documents that detail the amount of money that has been brought through the door as the result of your marketing efforts. With these items, a calculator and a bit of time you can easily measure your ROI and take things from there. You will use the calculator to multiply and divide to determine how much money you have made versus what has been spent. It is pretty simple and something that anyone can do, and should do, to make sure that their ROI is good. When speaking of ROI, text message marketing usually brings you a good investment. Although this is a simple formulation that allows you to measure the ROI of your business, you may always want to consider hiring a professional who can determine future ROI, expenses and more. With this help you can plan for long-term future and gain much better insight so there is no money for you to waste. This is optional of course, and may not be something that smaller businesses can afford to do. However, if it is within budget it can be greatly beneficial. Measuring your Return on Investment in the text message marketing world is something that you should do so that you can see with your own eyes how beneficial this form of marketing really is. There are so many reasons that businesses are using text message marketing, and the fact that it is so affordable and provides so much in return is, of course, the biggest factor weighing in on that decision. Whether your business is new or one that has been around forever, text message marketing works and will provide you with an amazing ROI that you will enjoy writing on your paper. Make sure that is something that you do!